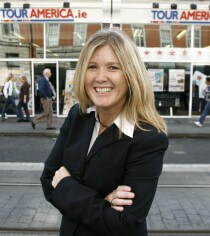 Mary McKenna, Managing Director of Tour America, has been working in the travel sector for almost 30 years. Having gained valuable experience in both the airline and travel agency business Mary decided in 1995 it was time to make a go of it herself setting up Tour America from home with a team of 3. Tour America has continued to buck the trend by growing throughout the recession now employing over 50 people in Dublin and Cork with a turnover of over €20 million. Constantly innovating, Tour America recently launched Luxury Cruises & Honeymoon Finders. The company also operates Cruise Holidays, which is the largest company selling cruises in Ireland, and was set up following 9/11.